Transit tools should enable your agency, not pose a barrier to impactful work. 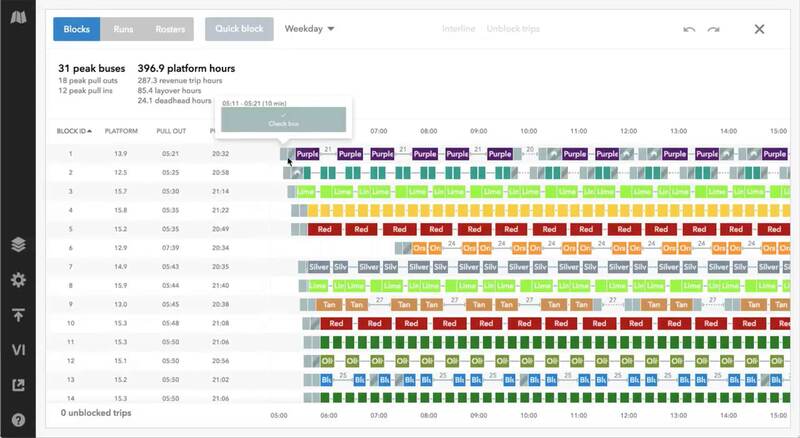 With Remix, put your energy into scheduling, not just your scheduling software. Never settle for an option because you don’t have time to find a better one. Remix lets you iterate fast so you can easily adapt to upstream changes. GLTC eliminated 100% of their split shifts, even when faced with last-minute changes to Liberty University tripper service. Why spend months or years learning how to use your scheduling software? With a visual and intuitive approach, you can unlock the power of Remix out of the box. DCTA eliminated 7 runs from their schedule during their 2-day Remix training. The team expects to even further improve their schedule efficiency in upcoming bids. Scheduling is all about difficult tradeoffs. Show how your decisions affect others and get alignment on the decisions you make. For the first time ever, ART got buy-in from their union before their bid was over, resulting in their highest driver retention to date. 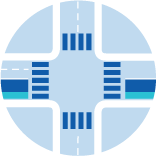 Agencies of all sizes use Remix to create their transit networks. 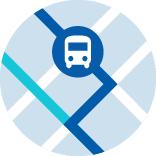 Find out what Remix Transit Scheduling can do for your organization.